Eyelash extensions are new and upcoming beauty process used to expand the length and thickness of your normal eyelashes. Lash extensions are single strands of engineered eyelashes that are applied to the lash line to create a full, dramatic or natural eyelash. They are connected to every individual eyelash one by one for a stunning and clean look. If applied properly, lash extensions last through a full lash cycle (one to two months). Appointments are typically every three to four weeks to keep a full look. How do I prepare for an eye lash appointment? Avoid wearing eye makeup prior to your eyelash appointment (mascara, eyeliner, and eye shadow). What are the aftercare steps ? Aftercare is extremely important. Avoid getting the lashes wet after the appointment. Try not to tug at the lashes, brush them regularly and avoid oil based make up products. Why choose NV Beauty boutique for lash extensions? All of our lash techs are certified in eye lash extensions and Health Canada standards. NV Beauty Boutique accommodate to in-home appointments as well as boutique appointments. Our in-home appointments are a travel free way for you to have your lash appointment in the convenience of your own home at an appointment time of your preference. What are the health risks involved? 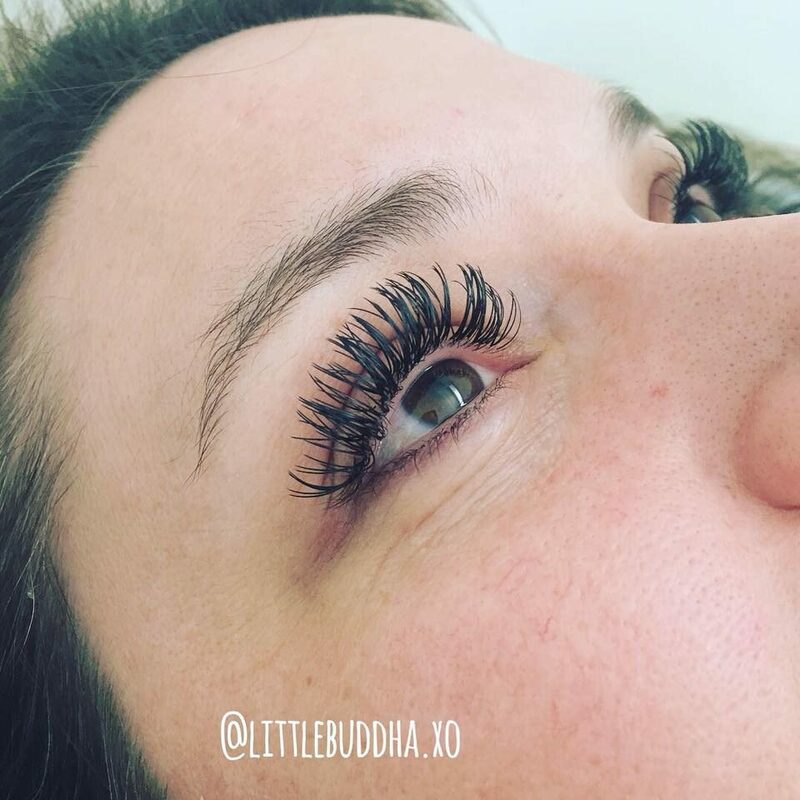 Eyelash extensions have minimal health concerns. The eyelash adhesive could potentially cause allergic reactions, bacterial and fungal infection or irritation to the conjunctiva or cornea. Where is NV Beauty Boutique located?